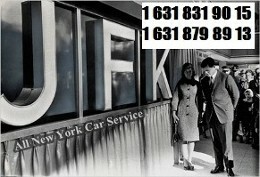 Are you in need of JFK car service? Then you have found the right spot! 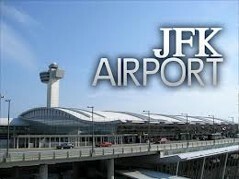 All New York offers the Best JFK Airport car service in the state. Prices lower than the competition; we are the premier MacArthur car service provider on Long Island and New York. We offer our JFK car service for whenever you may need. Our MacArthur airport car service is available 24 hours a day, 7 days and week. Reach out to All New York today to reserve your next JFK car service need. JFK Airport Car Limo service is a discreet and luxurious car service that provides a comfortable trip. It is the company of choice for executive travel for transportation to and from the airport. The luxury cars accommodate standard size pieces of luggage. Service to Newark Airport,LaGuardia Airport, MacArthur Airport and JFK Airport. We offer a quality that is hard to find in today's economy.Our cars include Town Cars, SUV, and other sedans.While the style of our cars varies, one thing is prominent; all of our luxury cars are mess-free, clean and comfortable. We put a very high value on customer opinions, which enables us to offer such great service. JFK Airport Car and Limo also caters to Broadway shows or any event where you will need quality, courteous, punctual transportation. All New York Car service picks up or drops off at any location, home,office,school or hotel (Courtyard Marriott, Holiday Inn, Hilton, Sheraton, Hampton Inn, etc...) Long Island, for your individual, group and corporate needs. 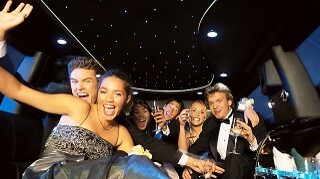 JFK Airport Car Limo service is the insured and licensed transportation company.To/From Fire Island, Hampton's, ISP, LGA, JFK, Newark, Manhattan Sayville Ferry, Bay Shore Ferry Service, Ferry Services to East Hampton Montauk, Sag Harbor Patchogue to Davis Park, Bridgeport and Port Jefferson Ferry, Montauk Point Ferry. JFK Airport Transportation,JFK Airport Transportation Service, JFK Airport Transportation Long Island,JFK Airport Transportation New York, JFK Car Service, JFK Car Service Provider, JFK Town Car Service, JFK Car Service to Long Island, JFK Car Service from Long Island,JFK Airport Car Service, JFK Car Service New York,JFK SUV Service,JFK SUV Service Long Island, JFK SUV Service New York,Luxury JFK SUV Service,SUV Service To JFK,SUV Service From JFK,JFK Taxi Service,JFK Airport Taxi Service,JFK Taxi Service Long Island,JFK Taxi Service New York. Our Company Servicing All Of The Following Long Island Locations:Amityville 11702, Babylon 11703, North Babylon 11704, West Babylon 11705, Bayport 11706, Bay Shore 11713, Bellport 11715, Blue Point 11716, Bohemia 11717, Brentwood 11718, Brightwaters 11719, Brookhaven 11720, Centereach 11721, Centerport 11722, Central Islip 11724, Cold Spring Harbor 11725, Commack 11726, Copiague 11727, Coram 11729, Deer Park 11730, 11731, East Northport 11733, East Setauket 11738, Farmingville 11740, Greenlawn 11741, Holbrook 11742, Holtsville 11743, Huntington 11746, Huntington Station 11747, Melville 11749, Islandia 11751, 11752, islip Terrace 11754, Kings Park 11755, Lake Grove 11757, Lindenhurst 11763, Medford 11764, Miller Place 11766, Mount Sinai 11767, Nesconset 11768, Northport 11769, Oakdale 11772, Patchogue 11776, Port Jefferson Station 11777, Port Jefferson 11778, Rocky Point 11779, Ronkonkoma 11779, Saint James 11782, Sayville 11784, Selden 11786, Shoreham 11787, Smithtown 11788, Hauppauge 11789, Sound Beach 11790, Stony Brook 11792, Wading River 11795, West Islip 11796, West Sayville 11798, Wyandanch 11901, Riverhead 11933, Calverton 11934, Center Moriches 11935, Cutchogue 11937, East Hampton 11939, East Marion 11940, East Moriches 11941, Eastport 11942, East Quogue 11944, Greenport 11946, Hampton Bays 11948, Laurel 11949, Manorville 11950, Mastic 11951, Mastic Beach 11952, Mattituck 11953, Middle Island 11954, Montauk 11955, Moriches 11957, Orient 11958, Peconic 11961, Ridge 11963, Sag Harbor 11967, Shirley 11968, Southampton 11971, Southold 11976, Water Mill 11977, Westhampton 11978, Westhampton Beach 11980 . We also service towns in Nassau County with Airport limo Which includes Albertson 11509Atlantic Beach 11510 Baldwin 11514 Carle Place 11516 Cedarhurst 11518 East Rockaway 11520 Freeport 11530 Garden City 11542 Glen Cove 11545 Glen Head 11548 Greenvale 11550 Hempstead 11552 West Hempstead 11553 Uniondale 11554 East Meadow 11556 Uniondale 11557 Hewlett 11558 Island Park 11559 Lawrence 11560 Locust Valley 11561 Long Beach 11563 Lynbrook 11565 Malvern 11566 Merrick 11568 Old Westbury 11570 Rockville Centre 11572 Oceanside 11575 Roosevelt 11576 Roslyn 11577 Roslyn Heights 11579 Sea Cliff 11580 Valley Stream 11581 Valley Stream 11590 Westbury 11596 Williston Park 11598 Woodmere 11599 Garden City 11709 Bayville 11710 Bellmore 11714 Bethpage 11732 East Norwich 11735 Farmingdale 11753 Jericho 1175 6Levittown 11758 Massapequa 11762 Massapequa Park 11765 Mill Neck 11771 Oyster Bay 11783 Seaford 11791 Syosset 11793 Wantagh 11797 Woodbury 11801 Hicksville 11803 Plainview 11804 Old Bethpage 11701.